Yak Gear is proud to announce the distribution of Optrix by Body Glove – a product line of cases and accessories that transforms your iPhone into a rugged and waterproof adventure camera – in the outdoor sporting goods industry. Water Resistant – From kayak fishing to diving and even recreationally splashing in the waves, Optrix cases are ready to go wherever your adventures take you while keeping your iPhone safe and dry. The Optrix line of cases are designed and built to a rating of IPX8 which is the highest rating possible for electronic housings. The IPX8 rating means your iPhone can be continuously submerged in water 3 feet of water with no damage– in fact, they have tested the XD5 at 33 feet with no water intrusion. Durable – On top of keeping your phone dry, the cases are also keep your phone in once piece. 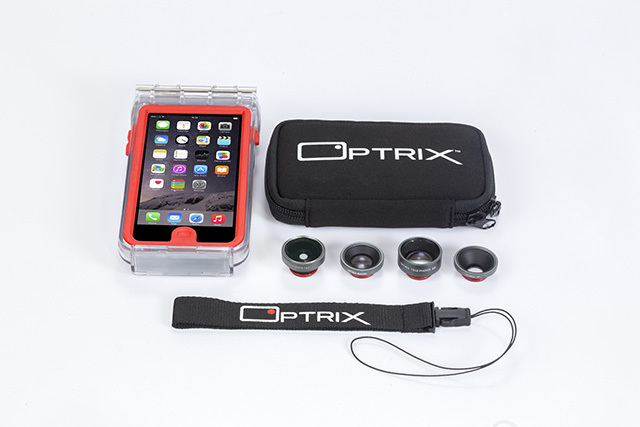 The cases are ultra-rugged and crush proof with a drop test iPhone survival up to a height of 30 feet, Optrix housings use an impact resistant, custom poly-carbonate unibody design for the ultimate in protection. Because of this, the housings are lighter and vastly stronger than the typical “clam-shell” style cases on the market. 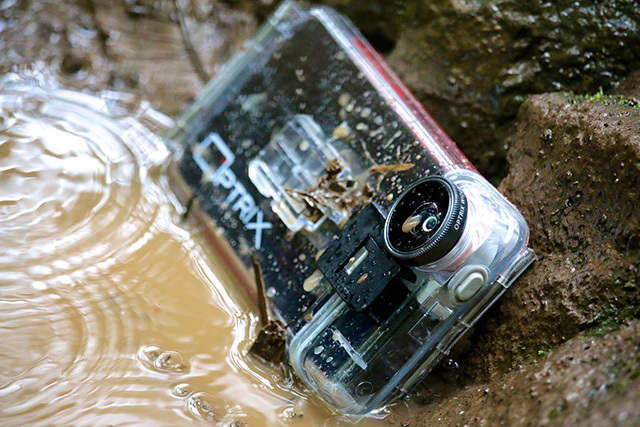 The Optrix ultra-rugged housing means your iPhone is nearly indestructible which is essential for your peace of mind –and for shooting sports action videos such as skiing, biking, skating, motocross, auto-racing and more. High Quality – The iPhone features sapphire glass for its camera lens. It would be a sin to cover that lens with cheap plastic, but that is exactly what other iPhone cases do. Optrix offers commercial grade optical glass lenses. Use Optrix lenses with your iPhone camera and the difference will be instantly clear, literally. Optrix XD also improves the HD video of iPhone by adding an all-glass, three element, 175° wide-angle lens to increase the field-of-view of the 120° angle lens of the iPhone. The result is a true wide-screen experience that is closer to real-life. Initially, Yak Gear will distribute the full line of iPhone cases and case accessories by Optrix. Yak Gear will also utilize relationships with Railblaza to create mounting solutions for the camera cases. 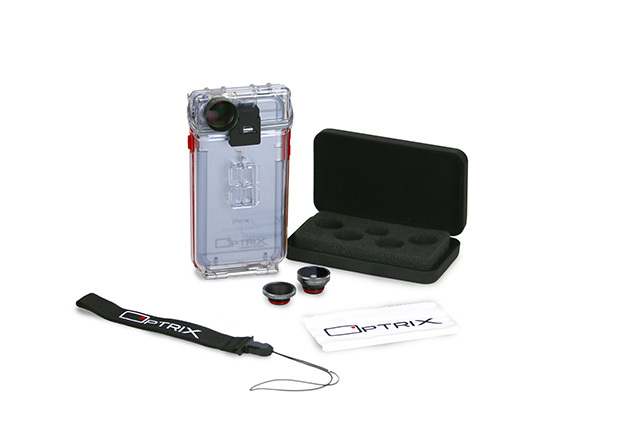 For a full line of Optrix products, browse our product listings. Optrix should be available at most Yak Gear dealers by mid-summer 2015. We are finalizing plans and accepting pre-orders as we speak!